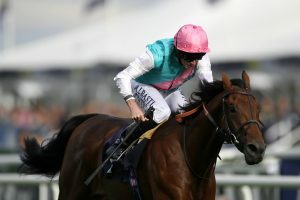 Too Darn Hot and Sangarius will have to do something only the legendary Frankel has achieved during the past dozen years if either is to justify their lofty rank in our Dewhurst betting tips. Trained by John Gosden and Sir Michael Stoute respectively, the pair are already attempting to break an Irish stranglehold over the Newmarket Group 1 that has seen just two English-trained colts land winning tips since 2006. However, the common bond between the juveniles responsible for the dominance of first Jim Bolger, then Aidan O’Brien for Irish raiders during that period, also suggests that neither of them are race-hardened enough for the job. Dewhurst tips 2018: Too Darn Hot @ EVS, Anthony van Dyck @ 7/2, Sangarius @ 7/2, Advertise @ 8/1, Mohawk @ 20/1, Christmas @ 33/1, Kuwait Currency @ 33/1. Check out all the latest Horse Racing odds, as well as Racing Post Verdict predictions here. How experienced do Dewhurst winners need to be? 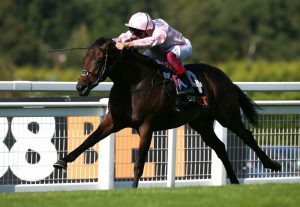 Too Darn Hot has raced three times, Sangarius just twice, but 11 of the past 12 Dewhurst winners competed on at least four occasions before landing the Rowley Mile contest – 2017 victor US Navy Flag secured success on his 10th start. Given that we already know that the exception during the sequence was none other than the almighty Frankel, who landed the race on his third start, the magnitude of performance required from the pair, as well as Richard Hannon’s Kuwait Currency is stark. This makes the trio worth taking on at the odds in our Dewhurst betting tips. Too Darn hot is favourite to win leading into the race. The sole non-O’Brien runner (with what recent history suggests is the requisite level of racecourse experience) is Martyn Meade’s Advertise, who would be a lovely each-way bet if the field hadn’t maddeningly been reduced to seven runners after the Thursday declarations. Only bested by the brilliant Calyx in amassing three wins from four career starts, the Showcasing colt won the Group 1 Phoenix Stakes at the Curragh. However, a combination of factors diminishes the appeal of putting him up in our Dewhurst betting tips. The lack of a third each-way place is naturally one, but the fact that not one of the three O’Brien-trained-rivals he held off in Ireland last time out is deemed up to re-opposing here is perhaps more damning. His stall-one draw is also a downer, having housed just one of the past 16 winners. As a result, it follows that the master of Ballydoyle, winner of this contest in each of the past three years and four of the last five, trains the tip to back in the 2018 Dewhurst picks. Of O’Brien’s three entrants, the one who seems most wrong at the prices on form is Christmas. The 33/1 shot has twice finished in front of subsequent Royal Lodge winner Mohawk this season, yet is 13 points bigger in the Dewhurst betting than the 20/1 shot. He also got within half a length of his 7/2-rated stablemate Anthony Van Dyck in the Group 2 Futurity Stakes. Ryan Moore is the underdog in this Saturday’s race; can he challenge Too Darn Hot for the win? Seemingly a pacemaker in that encounter over 7f, Christmas paid for playing the same role against the same foe in the National Stakes in mid-September when nearly six lengths third behind AVD and the victor, Quorto. Given the fits and starts with which the majority of Ballydoyle inmates have been improving this term (save the unbeaten Ten Sovereigns), it wouldn’t be an enormous surprise to see him outrun his odds dramatically at Newmarket. However, again the lack of a third each-way place counts against his inclusion in our Dewhurst betting tips as anything other than a value tickle, meaning Anthony Van Dyke has to get the nod. The highest-rated horse in the race on Racing Post Ratings boasts a significant advantage in terms of experience over Too Darn Hot and Sangarius, having clashed with Timeform’s highest-rated juvenile so far this term (Quorto) in Group 1 company prior to this contest. O’Brien’s last four winners have all been the shortest of his representatives in the betting too and the colt, named after a Flemish Baroque artist that went on to become England’s leading court painter in the 1600s, can extend his trainer’s excellent record in this race this year. Why not read our Sun Chariot predictions for this Saturday’s other Newmarket clash?